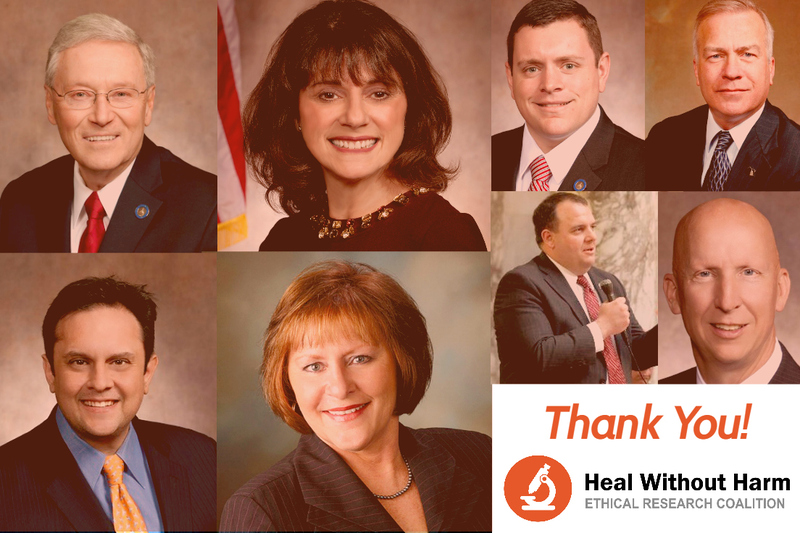 Yesterday, March 9th, 2017, Sen. Terry Moulton and Rep. Joel Kleefisch, along with Senators Vukmir, Testin, Stroebel, Craig, Nass, and Representative Bernier, introduced the Heal Without Harm Legislative Initiative. This package of two complementary bills, the Fetal Remains Respect Act and the Unborn Child Disposition and Anatomical Gift Act, seek to demonstrate respect for unborn children by 1) outlawing the future exploitation of aborted children for fetal body parts (defined as tissue, organ, or another part of aborted unborn child); and 2) providing families, doctors, and scientists with ethical sources of fetal tissue. The Fetal Remains Respect Act prohibits the trade and use of fetal tissue derived from the intentional taking of a human life after January 1, 2017. Non-complaint facilities will be subject to civil penalties, but the package does not include any criminal penalties, nor does it penalize any individual. It also ensures a dignified burial for aborted unborn children. A viable and ethical alternative to aborted fetal tissue is the use of tissue derived from unborn children who lose their lives accidentally, not intentionally. The Unborn Child Disposition and Anatomical Gift Act requires health care facilities to inform parents of the ability to offer an anatomical gift from their stillborn or miscarried child. The bill also requires facilities to provide a certificate of stillbirth upon the request of parents and to consult them regarding the disposition of their deceased child. The bill furthers ethical research by ensuring future transparency for researchers, and by directing the Department of Health Services to study the feasibility of establishing a bank for cord blood and ethically-derived fetal tissue. The Heal Without Harm Initiative allows for research to continue with ethical alternatives and is strongly supported by the state’s four main pro-life groups: Wisconsin Family Action, Pro-Life Wisconsin, Wisconsin Right to Life, and Wisconsin Catholic Conference. Visit our Q&A to learn more about how Wisconsin can heal without harm.